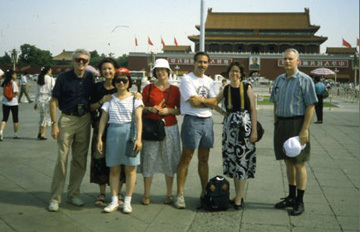 In 1991, Dr. Uliana Gabara led a group of 11 faculty members on a three-week in-country seminar to China and Hong Kong. The seminar was preceded by several weeks of personal research and on-campus presentations. While in China, participants met with academics and intellectuals and heard lectures on a number of relevant topics including the Chinese legal, health, and education systems. They also visited some of the region's most important cultural and political sites. Each morning began with a class of tai ji and the days were rounded out with evenings of Chinese conversation.